Celebrating these beloved cartoon characters are international fashion leaders that include: Anna Sui, Betsey Johnson, Bibhu Mohapatra, Calvin Klein Collection, Christian Siriano, Costello Tagliapietra, DKNY, Diane Von Furstenberg, Dsquared2, Dries Van Noten, Emanuel Ungaro, Isaac Mizrahi, Isabel Marant, J.Mendel, Kenneth Cole, Lisa Perry, MAC Cosmetics, Opening Ceremony, PhilipTreacy, Rodarte, Royal Asscher, Swarovski, Tracy Reese, VPL by Victoria Bartlett, and Zac Posen, all of whom designed one-of-a-kind creations for Snoopy and his sister Belle. After New York, the exhibit will travel to the Palais de Tokyo in Paris and other locations in Milan, Tokyo, and more over the next two years. 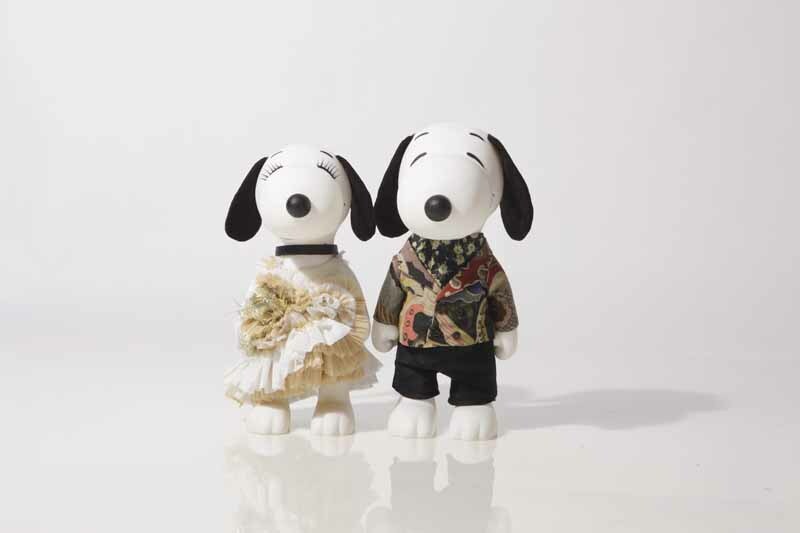 For more information or to reserve tickets to “Snoopy and Belle in Fashion,” go to www.snoopyandbelleinfashion.com.